We recently had an extended family vacation during which I was reading and studying the book of Romans. It struck me how often Paul contrasted the old and new covenants with God in the beginning of that book. When we returned home from our trip, I thought about these contrasts in the context of Christmas. So much of our focus at Christmas is anticipating the arrival of Jesus. It struck me that our kids know that Jesus is important, but they may not realize what a striking difference He made to the way in which we have a relationship with God. We decided to try to illustrate this to our kids through a mini advent calendar. 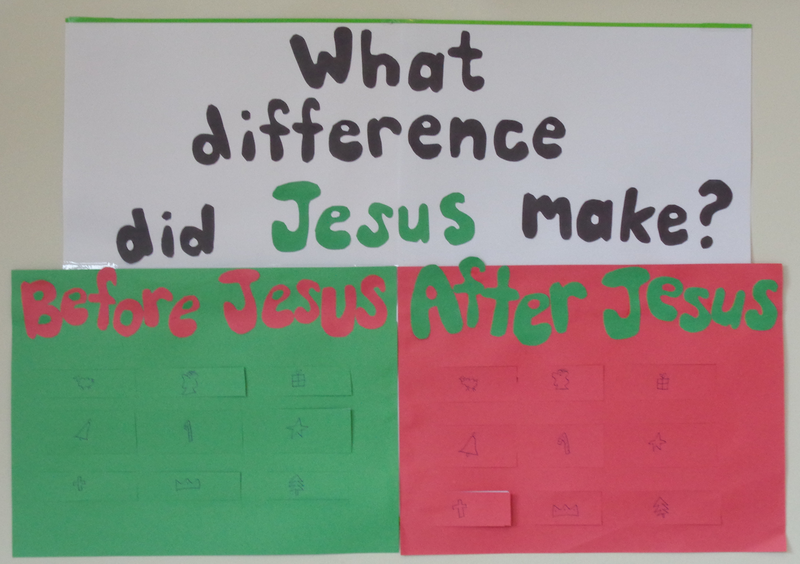 Its a worthwhile lesson even if you don’t make an advent calendar activity out of it – read on to find out what we did. I like advent calendars that do not have a full 25 days to them because we inevitably miss days here and there over Christmas due to other activities. If you are the same way, this calendar may be for you. – it only has 9 days in it. If you can’t fit in 9 days, why not discuss these differences with your kids as you anticipate Jesus’ birth on Christmas Day. 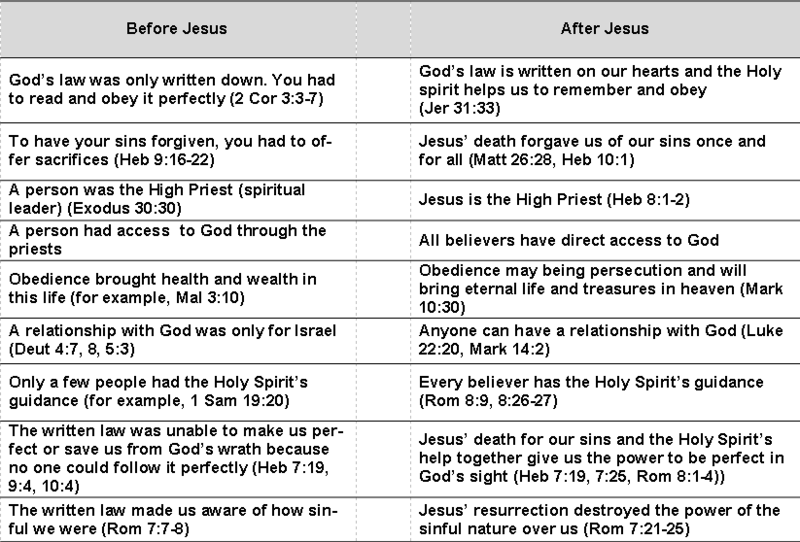 Clearly there are more differences between the old and new covenants that could be presented, but we hope that this will give them a better appreciation of some of the differences that Jesus’ birth (and death and resurrection) made to their relationship with God. Start off by asking what the biggest difference between the Old and New Testaments is. The answer is Jesus – the New Testament starts with Jesus’ birth. Why do we call one ‘old’ and the other ‘new’? Essentially because one outlines an old covenant or an old way of interacting and pleasing God and the other brings in a new covenant. God says that the old covenant was a shadow of what was to come. (Heb 10:1) How similar is looking at someone’s shadow compared with looking directly at them? Even when He established the old covenant, God had something better in mind. God gave the first hint of this new covenant in the Garden of Eden when he told satan (the snake) that one day a son born of a woman would crush his head (Gen 3:14-15). Later, God spoke about the new covenant through prophets like Jeremiah (see, for example, Jer 31:31-34). If you’d like it in a version that can be used for an advent calendar, click on the link below.